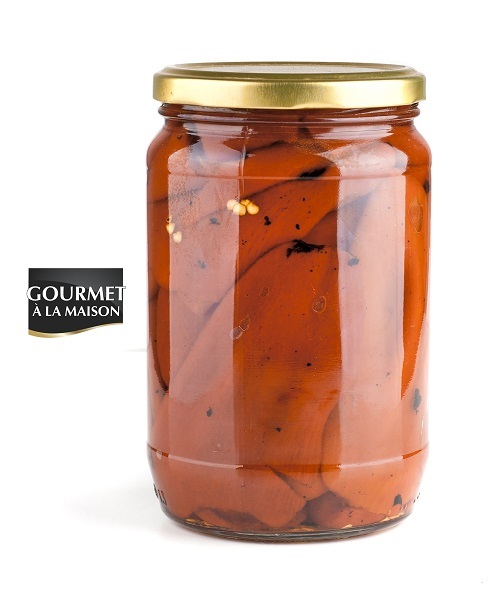 Gourmet ala Maison – Roasted peeled red peppers. Ingredients: Roasted peeled peppers , water, vinegar, salt and sugar. Sterilized product. Without preservatives and colorings!